This is pretty simple but very elegant. A few ornament balls and snowflakes to add for a dramatic flare. Top it off with a styrofoam ball big enough for a head and then top that off with a top hat. Add scarf to separate head from body. 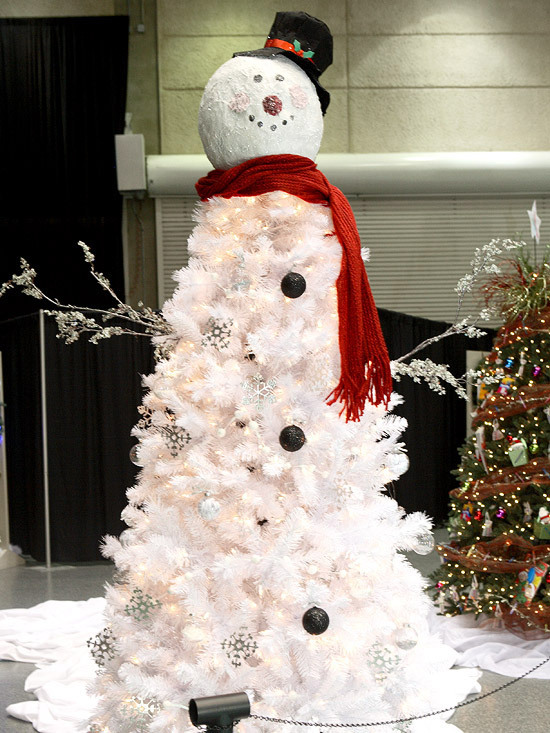 This entry was posted in Crafts ~ DIY ~ Projects, ~Christmas and tagged decorate, man, men, merry, snow, snowman, snowmen, tree, x-mas, xmas, ~Christmas. Bookmark the permalink.